KSL users rated HepTech #1 for Computer Repair in Utah the past 6 years in a row! We know your life is on your computer; and when it stops working, so do you. HepTech makes all your computer repair needs effortless. We provide fast, knowledgeable, and friendly service. 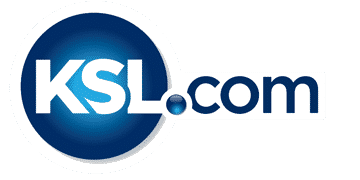 Rated #1 by Utahns for computer repairs on KSL, HepTech is Utah’s first choice. We know that a single day without your computer is more than inconvenient, it’s a burden. We work fast and efficiently around your schedule. We offer same day & next-day solutions, as well as on site service. We get your computer working as efficiently as you do. We offer a high quality, customized service, without the high price tag. Our transparent quotes with no hidden fees leave no surprises when its time to pay the bill. Our competitive prices leaves your money where it belongs, in your wallet. I wanted to thank Ryan at “Heptech” for the fast response time and getting my laptop back up and running GREAT! I need and use my laptop everyday for my Real Estate clients and can NOT be without it. Thanks HEPTECH! My experience with HepTech was awesome! The service was super fast and I appreciated the great customer service. I would recommend HepTech to anyone that needs any type of computer support!! Thanks so much! Knowledgeable staff with fair pricing!!! !